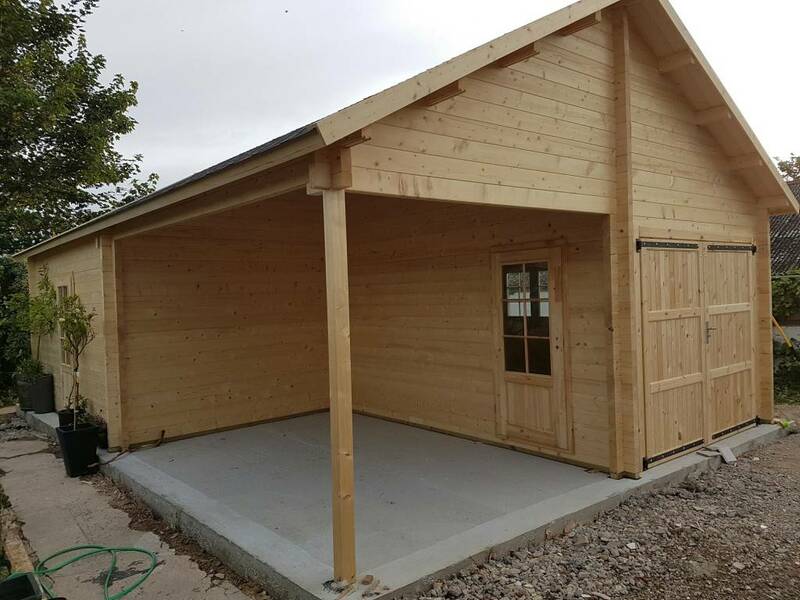 A wooden shed is not a new type of building but it is becoming more and more popular due to its relatively low costs when compared with other structures. There are quite a lot of companies which offer this type of product, so it is easy to get lost when looking for the right solution, especially when prices can vary so much. So, how should you navigate through this potential maze to find the best product? No doubt you want to buy from a company you trust and one option is to find out more information about the company by reading through their reviews on the relevant websites. Another way is to check the possibility of contacting previous clients who have already purchased products from the company ‒ this is probably the most honest feedback. If you are confused about why the prices vary so much make sure you are not deceived by the first impression. The stated quote can include or may not include a lot of things such as flooring, shipping etc. 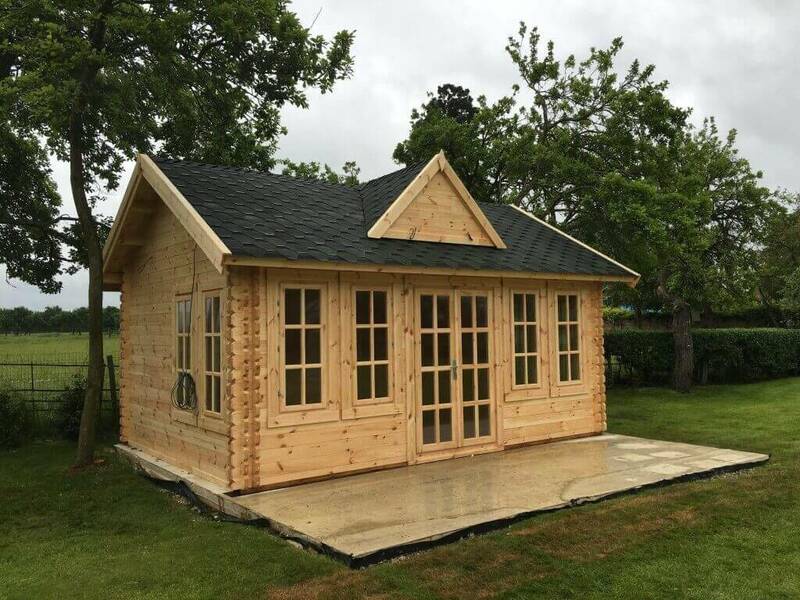 It’s also important to check the price per square metre of the shed, as sometimes slightly smaller constructions seem to be much cheaper than bigger ones from another retailer. 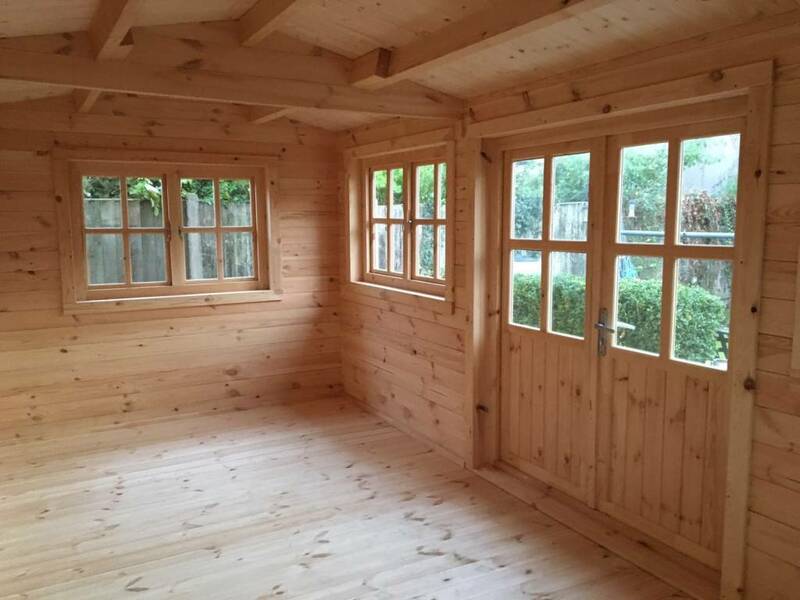 In the end you could find out that the price per square metre of a smaller wooden shed is the same or even more expensive than the price offered for a larger one ‒ so be precise when checking the price policy. The other simple thing is that a company cannot offer a cheap product made of high quality materials. 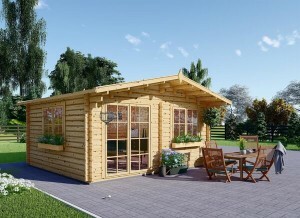 The timber, hinges, windows, doors are just some of the items included into the price. So even if visually the product looks more or less the same and is offered at significantly different prices, you should not expect the quality to be the same. 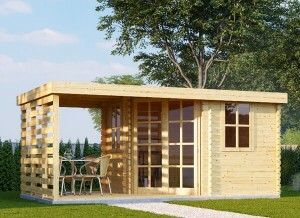 The type of timber used in its making is the key element of a wooden shed. 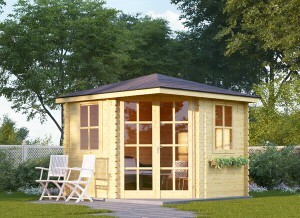 Often companies make their products using very basic timber and only some of them offer sheds made of what experts believe is the most effective material, which is slow-grown spruce or pine. This type of wood has less knots and its density helps to prevent mould and rot, meaning it gives better longevity to the product itself. The other important thing is to check the length of the logs. If the structure/walls are made of a lot of short pieces they will require to be joined with the specific finger-joint method. This method is good for structure stability where it is required but in all other ways the wall loses insulation, moisture resistance and longevity. 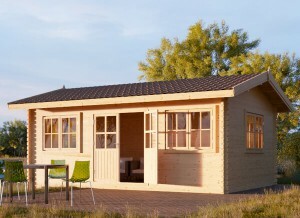 So check the options for a solid log structure. No one would argue that the windows and doors of any structure should be of good quality and this is where a lot of suppliers come up short. Not so much can be gleaned from the pictures on a company’s website; we highly recommend that you visit the showrooms of the suppliers. Look at the shape and function of the actual doors and windows. Don’t be fooled, as some companies deliver windows which you have to glaze yourself. Save your time, energy and skip the extra stress ‒ choose already glazed windows and doors which do not leave any space for leaks. The roof is a key component for a wooden shed, including which roof joists and roof gables are used to make the roof structure. A well-made construction will not start sagging and you will not have to be fearful about whether the roof will collapse. As most companies concentrate on trying to offer the cheapest price they might not include the floor in their products. Be attentive ‒ if the floor is included in the price are the floor bearers treated? The best practice is to use pressure-treated floor bearers and you should look for that. The product should not require any specific skills over and above those of a keen DIY enthusiast for it to be assembled on site and this is easy when the item has been made following quality standards. If the wooden shed is made with no consideration of the people assembling it then and it was made badly. Designs made following your requirements and not from the company’s standard design range are always a bit more expensive. But check all the included/not included services for bespoke designs. They should not charge you for the drawings and plans and it should not be overly expensive to implement your own ideas. This is one of the points which is harder to investigate before the purchase. You can try to find some people in your surrounding area who have had experience with the particular company or alternatively you can look for feedback from existing clients. Selling is an important process for the company, but the after-sales service is very important for you, so do not overlook this important element. The service team is part of the full process, so pay attention to how they communicate with you. If they are friendly, answer all your questions and are not afraid to give you advice, it usually means that they will be attentive if something goes wrong during the process. 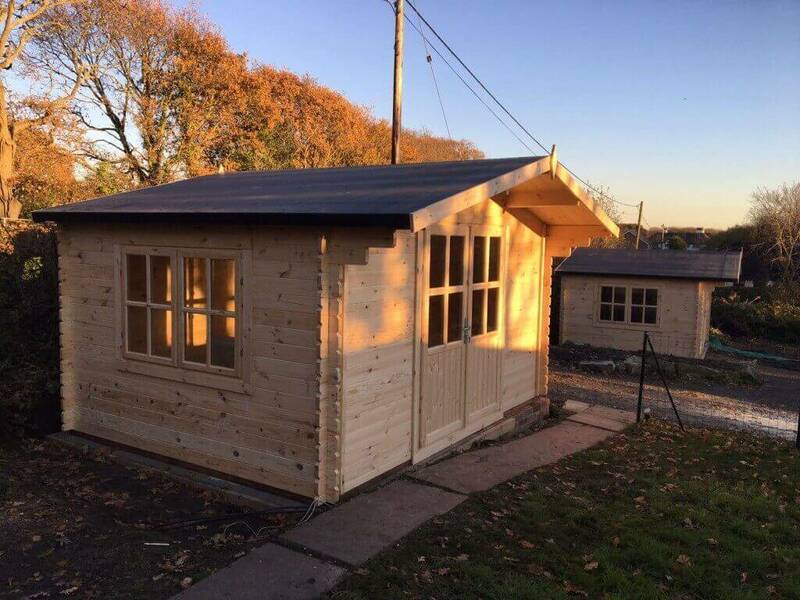 We hope that this information will assist you in not getting overawed in finding the best option when it comes to purchasing the right wooden shed for you.